Kelsey Otero, associate director for social innovation in the Office of Research and Innovation, has been named to the Milwaukee Business Journal’s 2019 40 Under 40 class. Each year, Business Journal reporters and editors select 40 leaders under the age of 40 — from a pool of hundreds of nominations — who have demonstrated outstanding professional achievement while also becoming leaders in their communities. 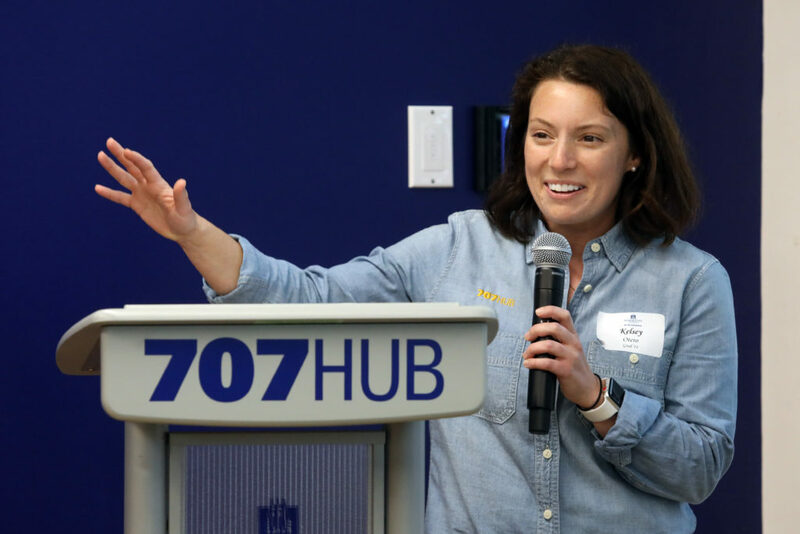 Otero, who joined Marquette in 2014, co-launched and now co-leads the 707 Hub, Marquette’s student innovation space that currently houses 27 student start-ups. In this role, she has worked to more fully integrate innovation into the Marquette student experience, while also responding to the needs of local burgeoning entrepreneurs — she has coached nearly 40 start-ups and social ventures that have gone onto impact more than 1,600 lives in Milwaukee. Otero serves as co-chair of the Near West Side Partners’ commercial corridor working team, and she is the driving force behind Rev-Up MKE, a “shark tank” style competition that provides aspiring entrepreneurs the opportunity to start or expand their business with financial and technical support. To date, three of the finalists have opened store fronts in the Near West Side.